As part of commitment to update its Nokia smartphones with latest Android OS, HMD Global has announced that Android Oreo 8.0 is now available on their latest flagship Nokia 8. If you own Nokia 8 then it will be automatically updated with Android Oreo. You will receive a notification on your smartphone when it becomes available in your country. Acccording to HMD, Android Oreo will be coming soon to other Nokia smartphones. 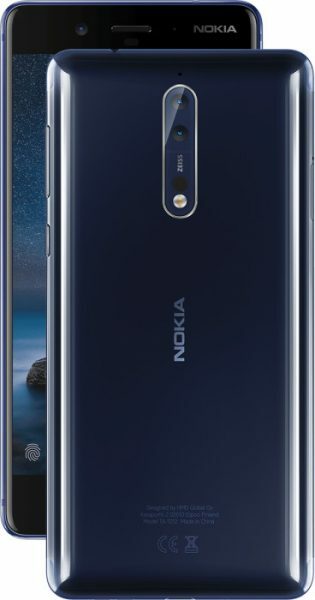 Nokia 8 with Snapdragon 835 SoC, 4GB DDR4X RAM and 64GB (UFS 2.1) of internal storage,13MP Dual Rear Cameras, fingerprint sensor, 3090mAh battery with Qualcomm Quick Charge 3.0, 5.3-inch (2560×1440 pixels) Quad HD LCD display with Corning Gorilla Glass 5 protection and 700 nits brightness, was launched in India at Rs. 36,999 in the month of September.